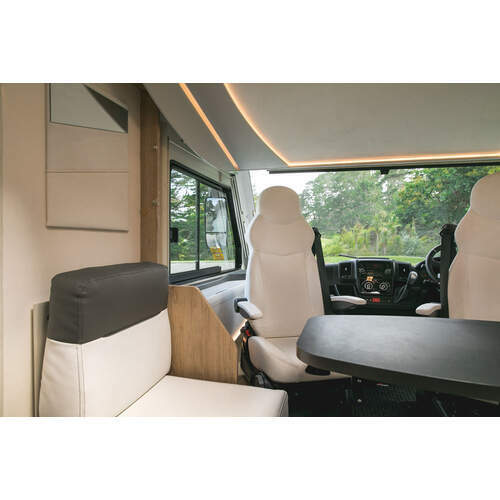 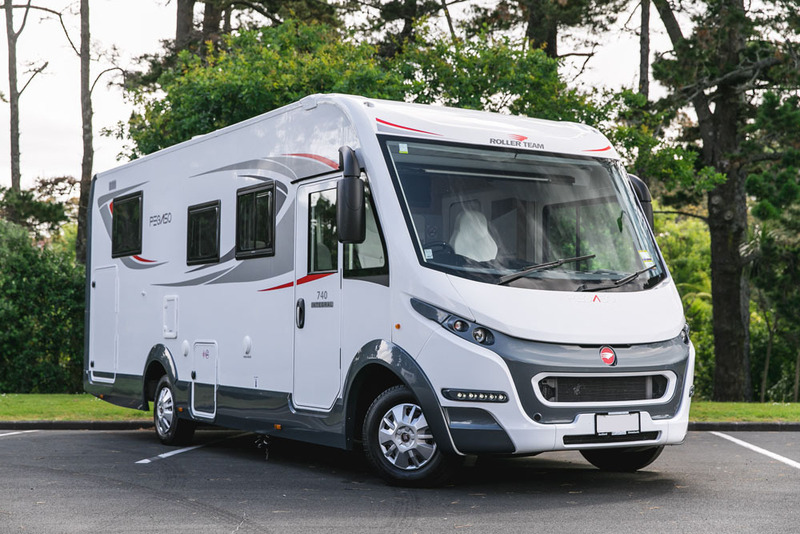 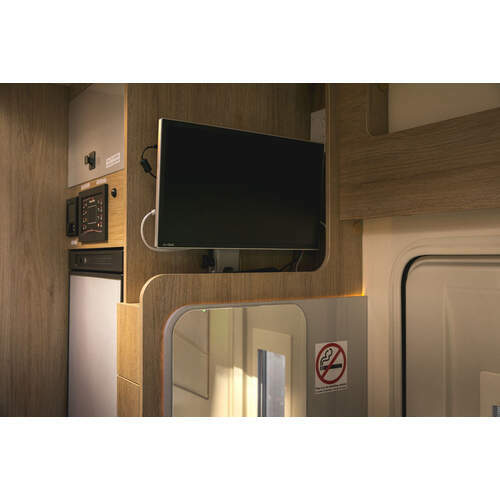 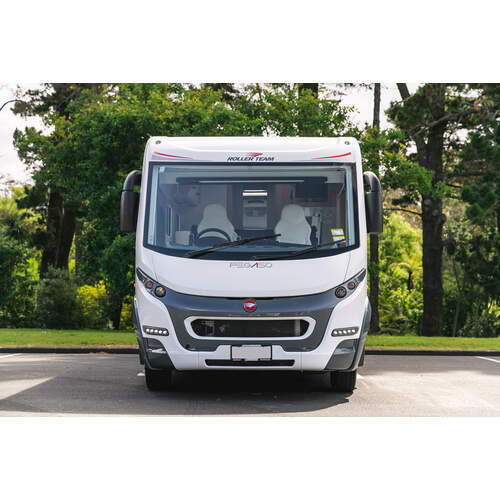 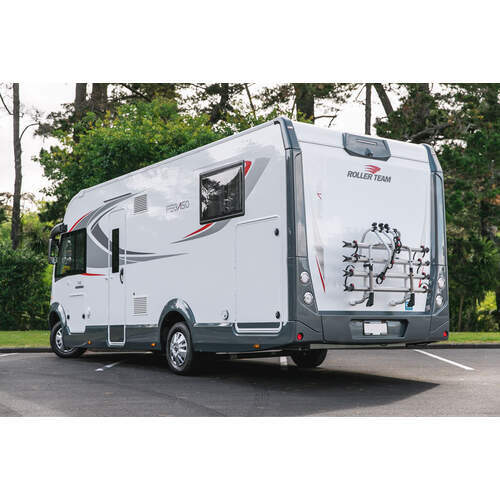 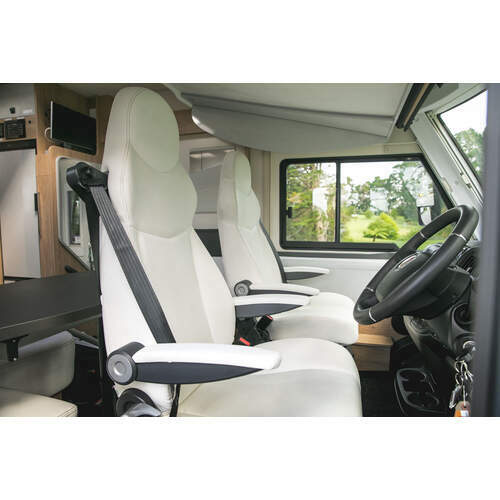 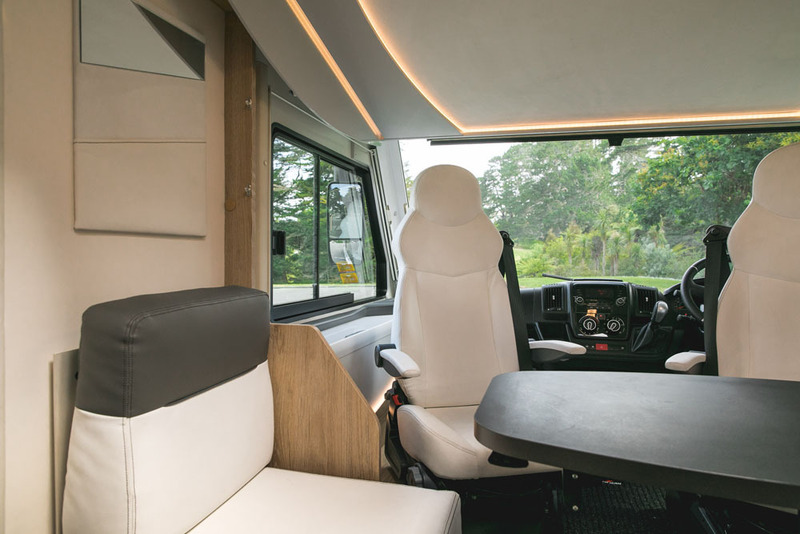 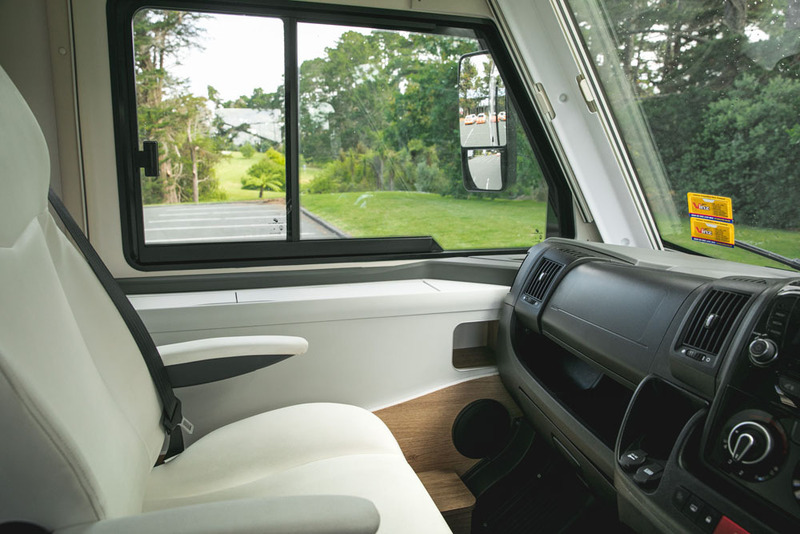 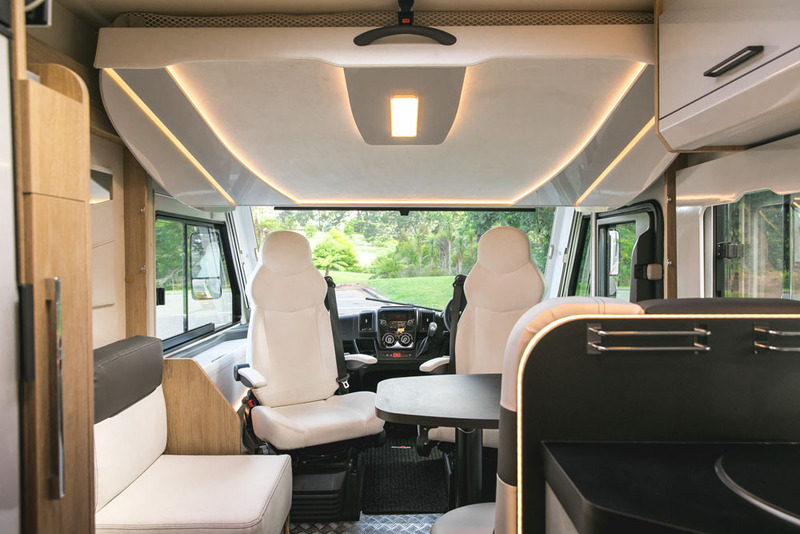 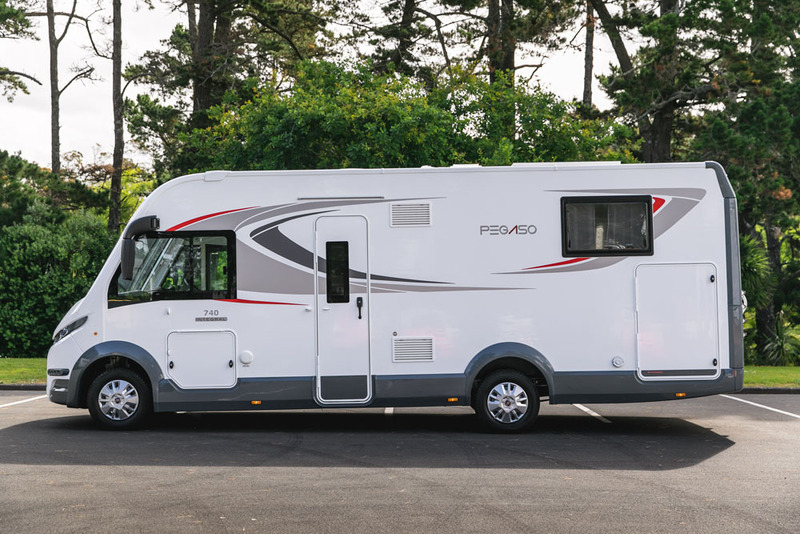 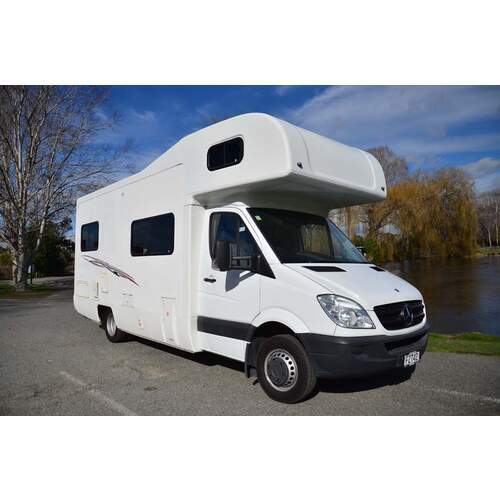 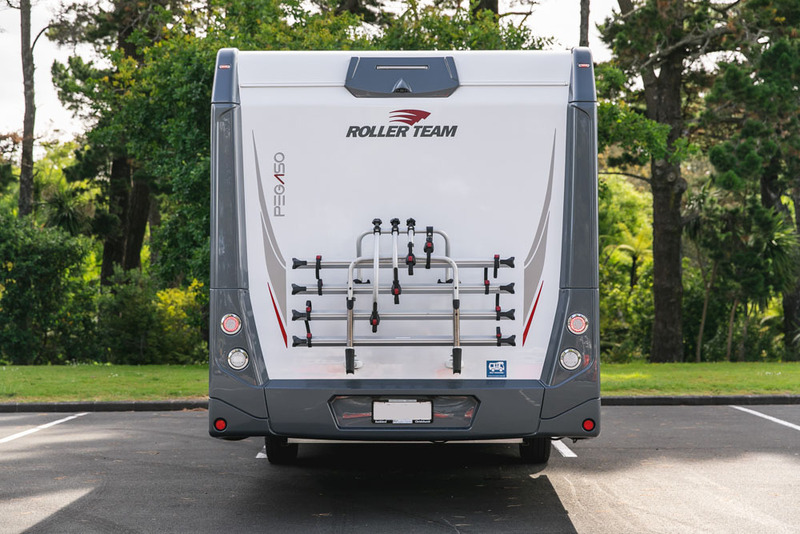 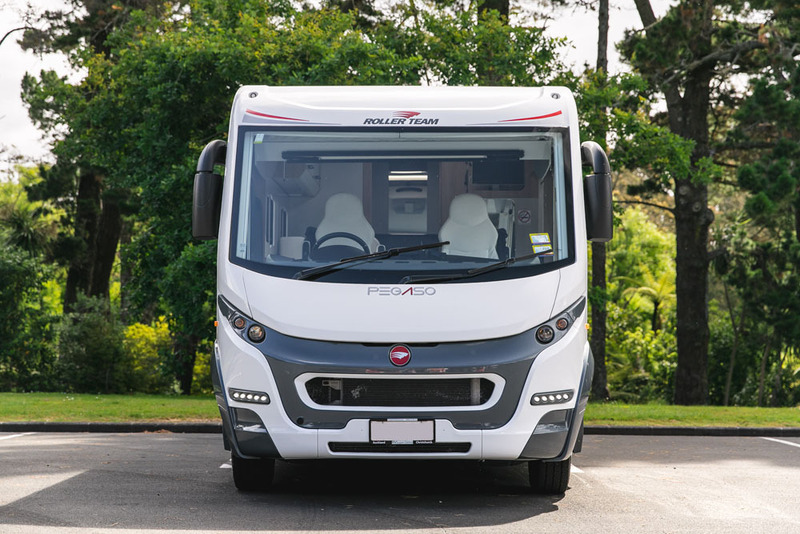 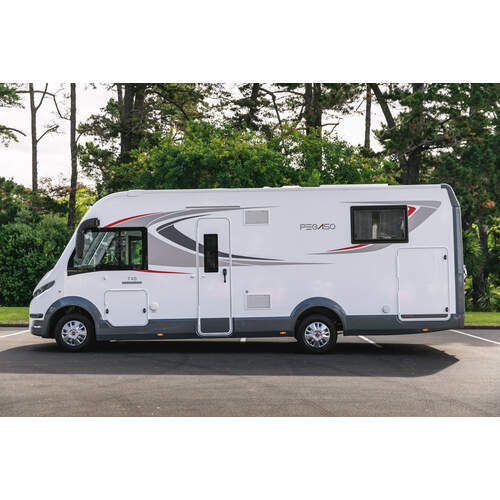 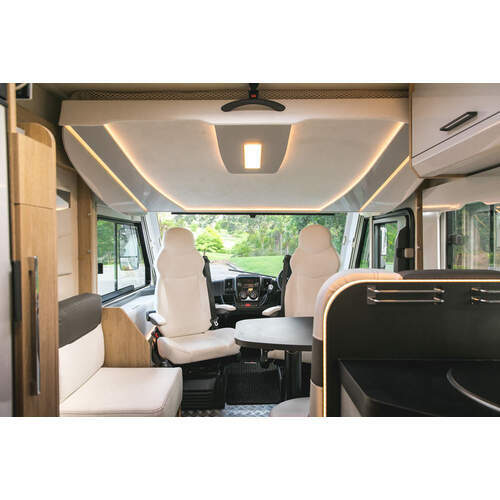 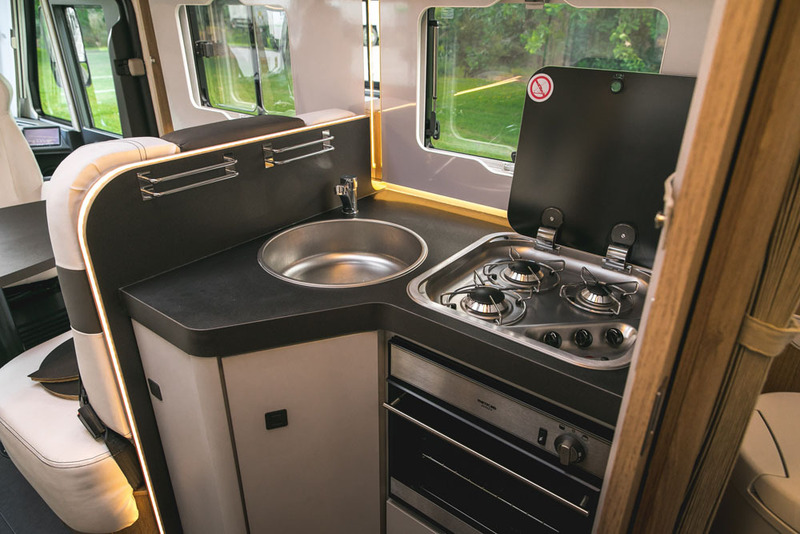 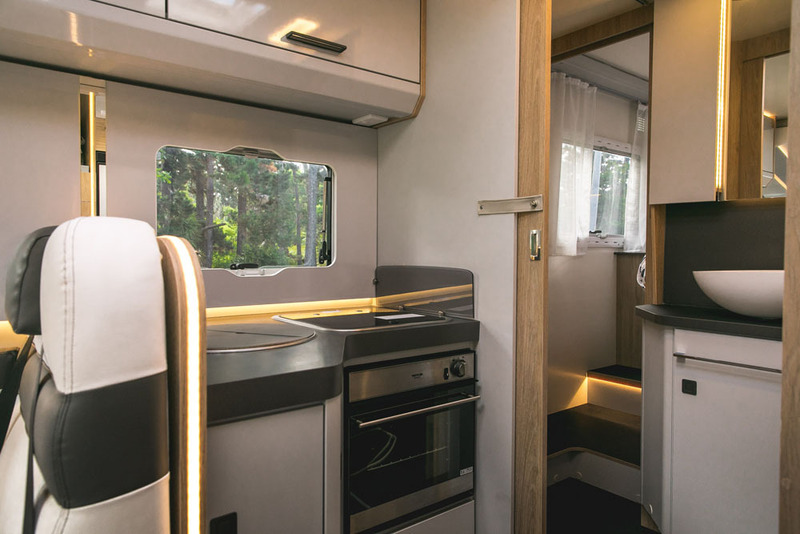 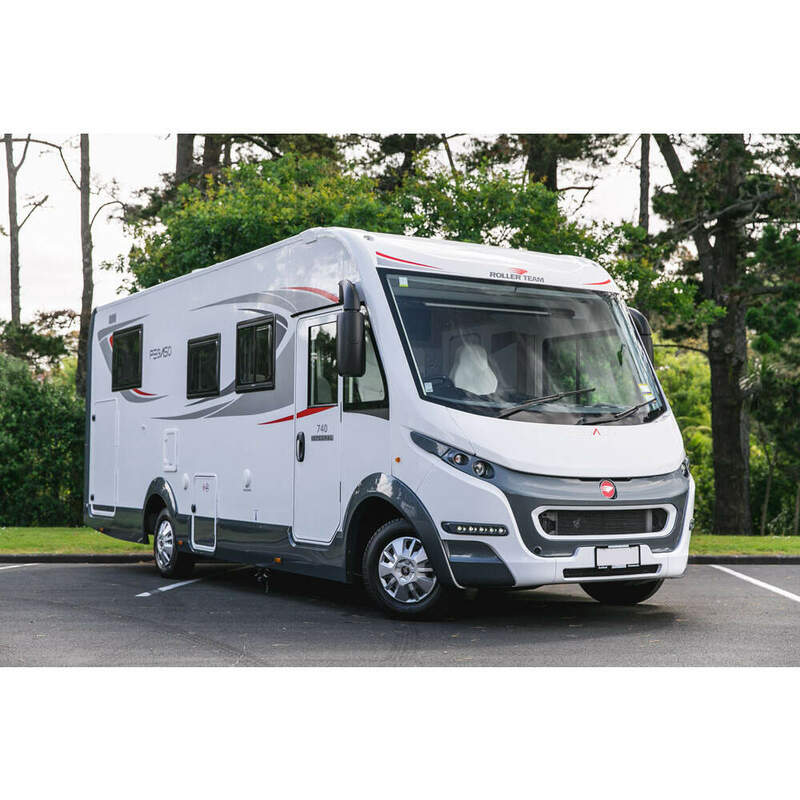 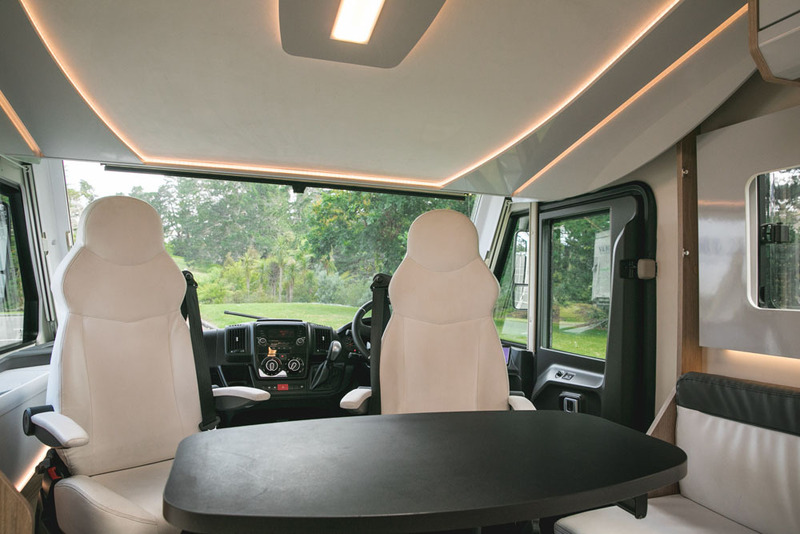 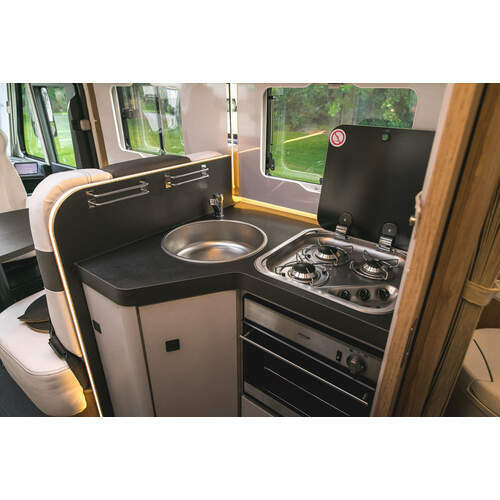 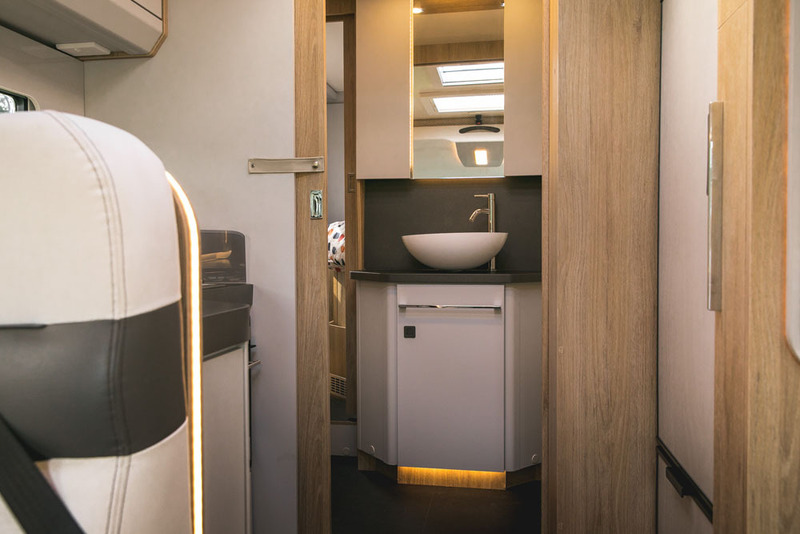 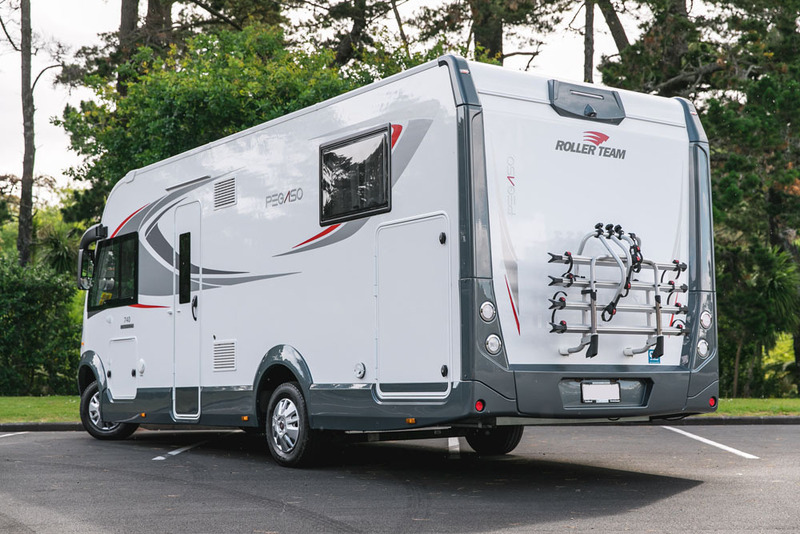 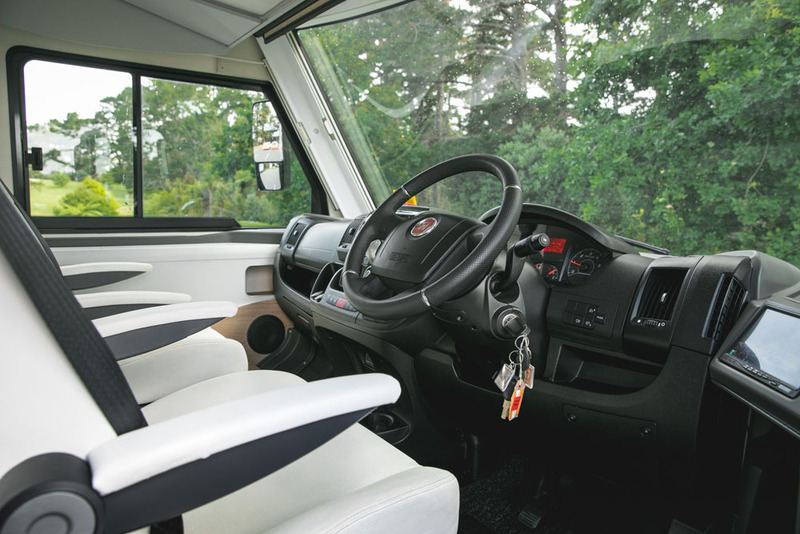 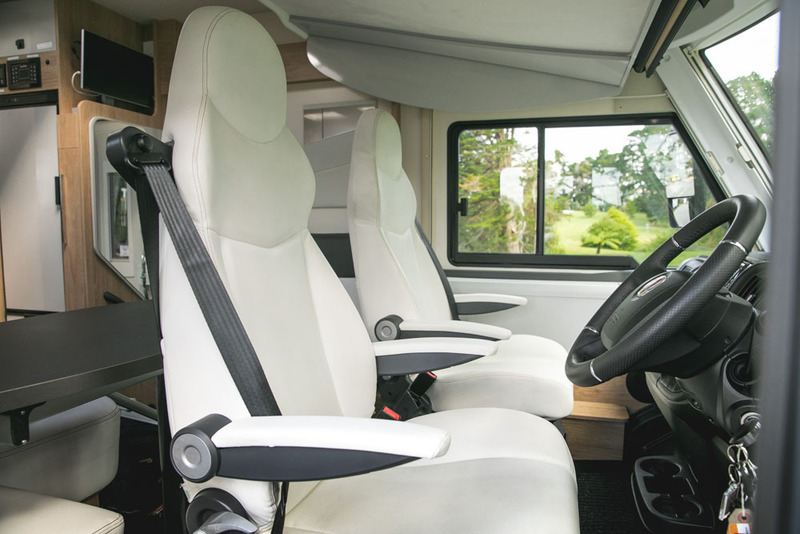 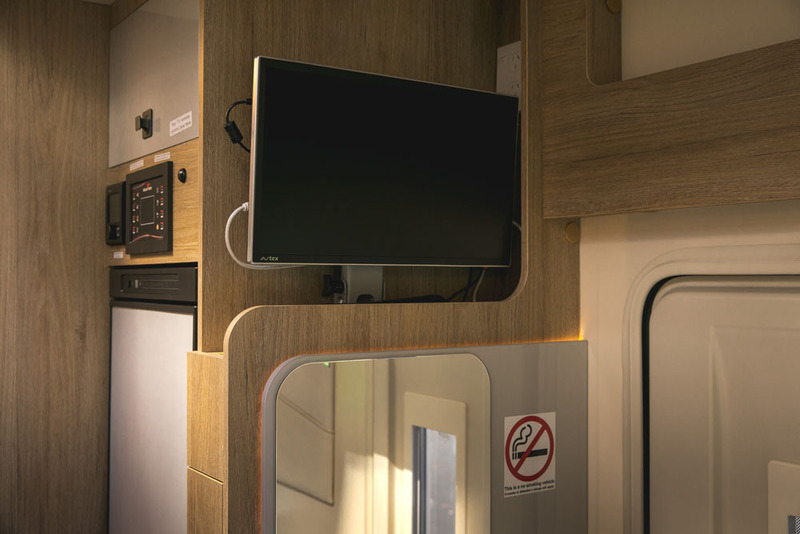 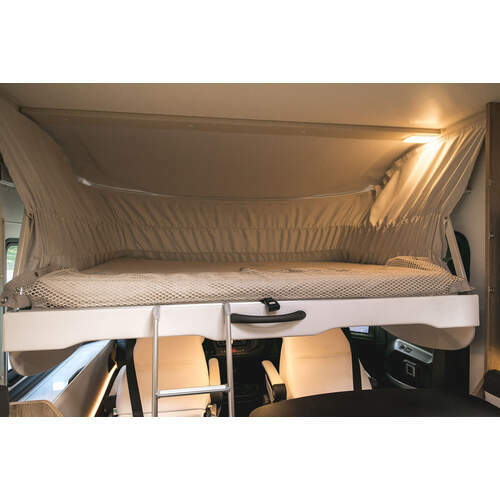 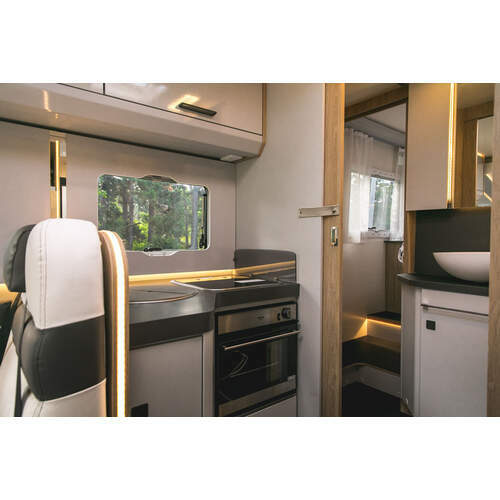 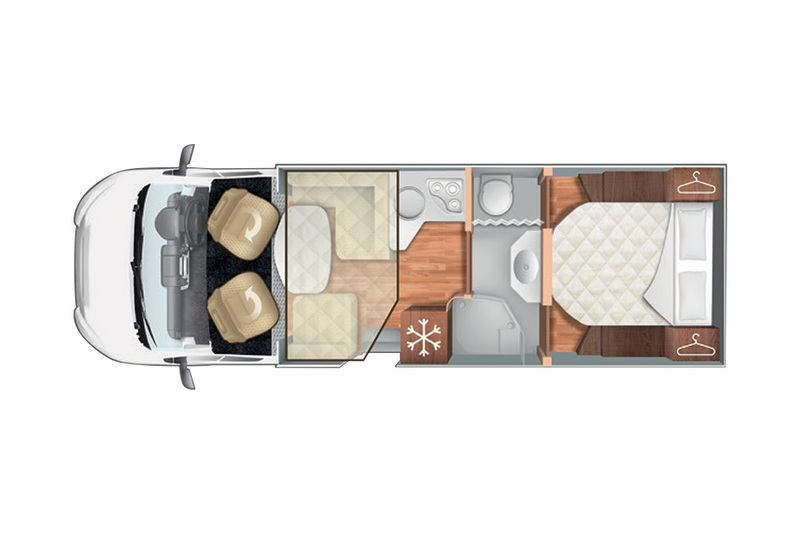 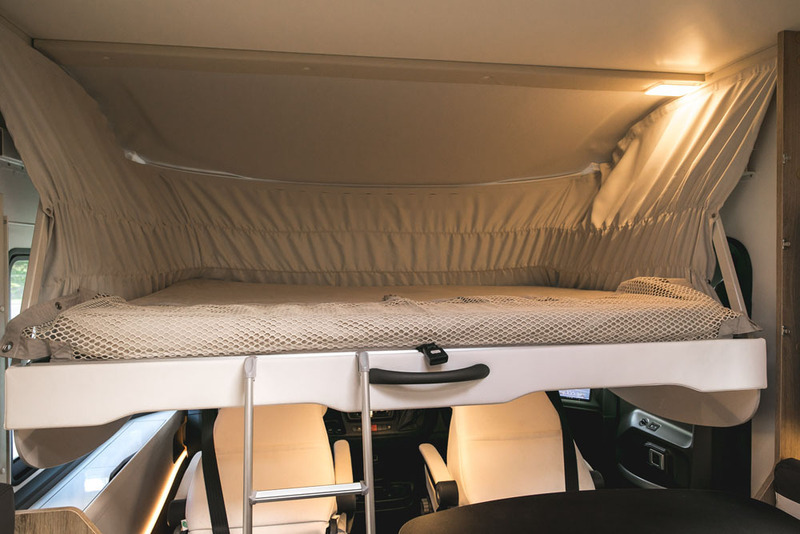 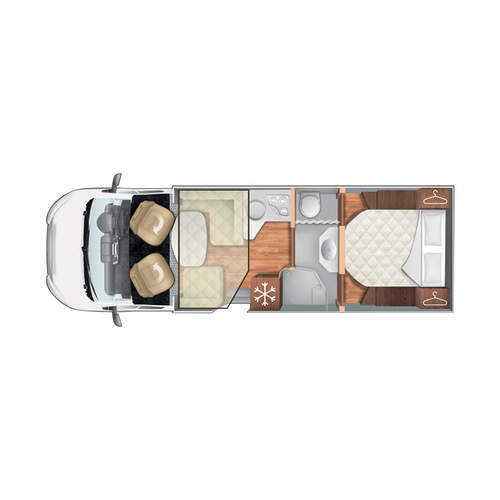 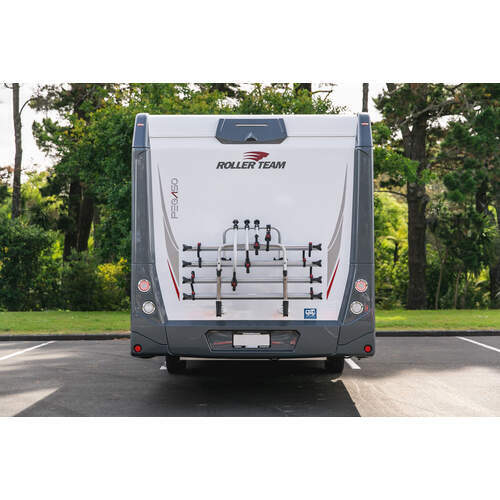 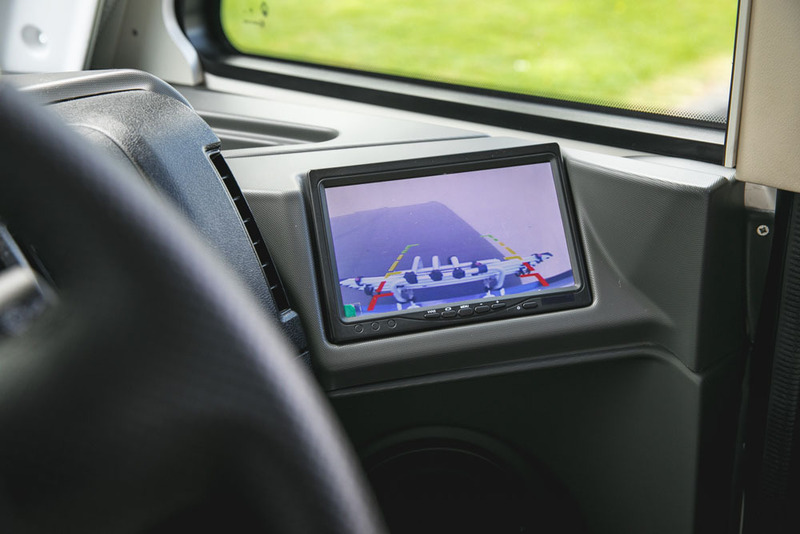 The Roller Team Pegaso 740 has a separate rear bedroom which boasts an island bed and at the front, a second double bed pulls down from the ceiling. 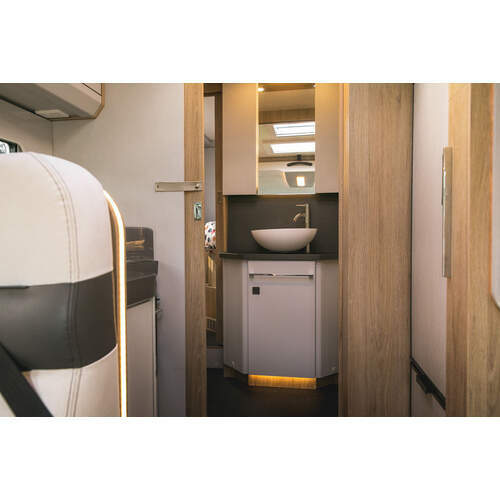 The two sleeping areas are separated by a central bathroom with toilet and shower. 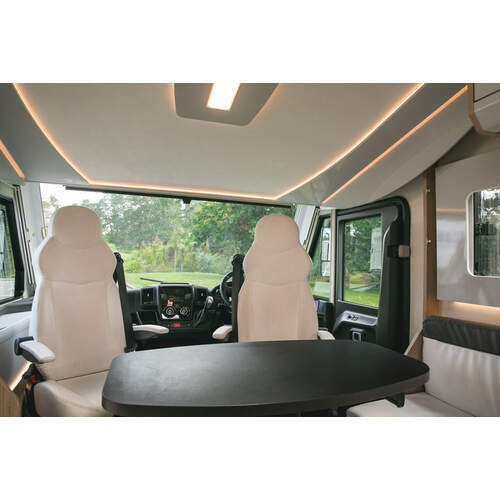 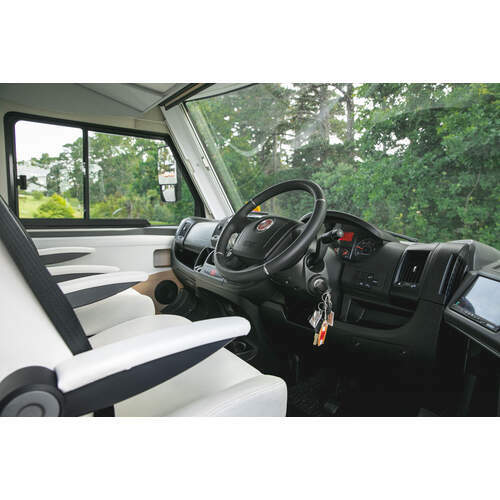 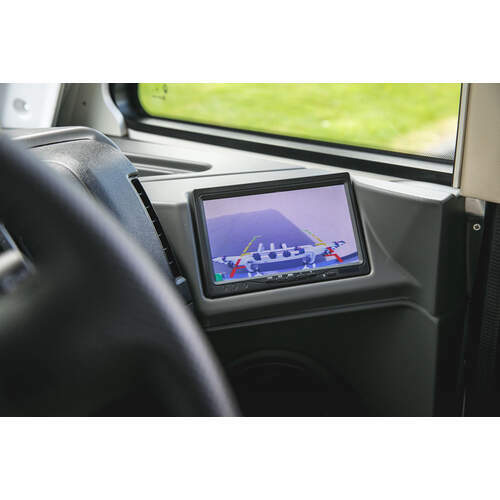 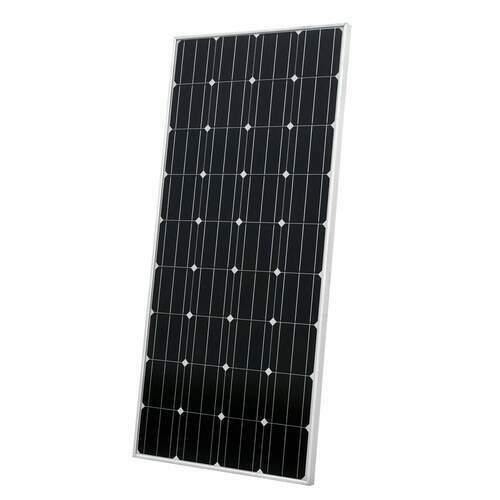 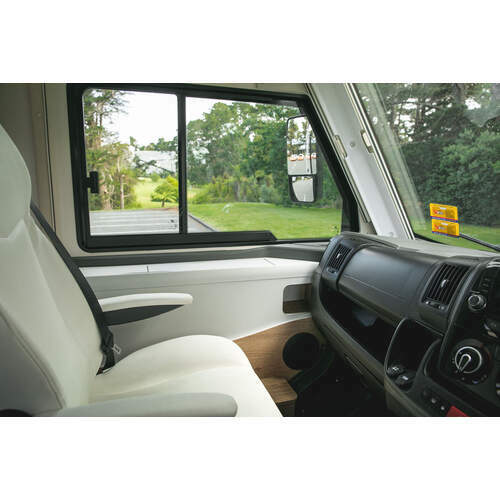 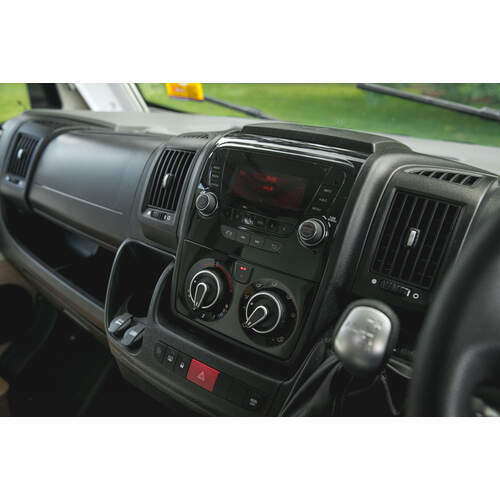 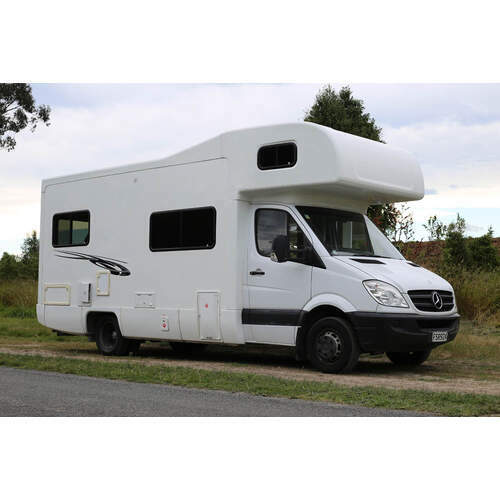 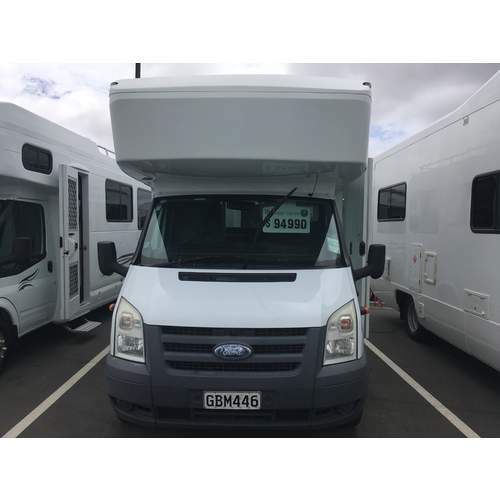 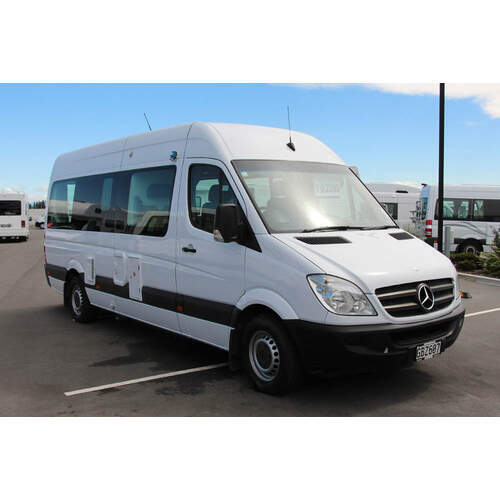 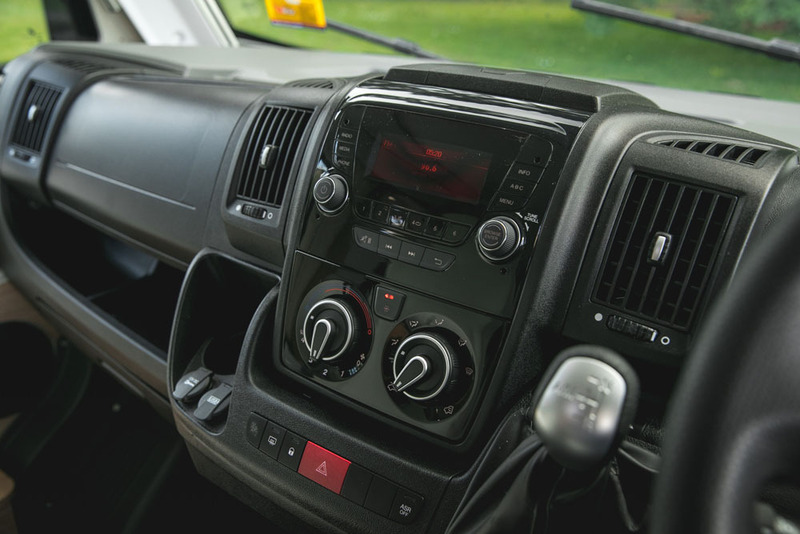 It offers great views when driving and comes with a 100 watt solar panel, TV and Status aerial and a corner ktichen with oven and fridge.